Extend the working height of base pack (RT351005) and extension pack 2 (RT351010) from 1.8m (5 ft 11 in) to 3.8m (12 ft 6 in). 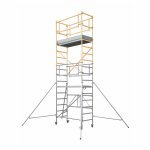 The Werner Mobile Access Tower Extension Pack 3 can be used to extend the working height of base pack 1 (RT351005) and extension pack 2 (RT351010) from 1.8m (5 ft 11 in) to 3.8m (12 ft 6 in). Easy and quick to assemble. Suitable for trade and light trade use. Pack contains: 1 x platform with trapdoor, 2 guardrail frame, 3 diagonal braces and 2 x 7 rung frames. To be used in conjunction with the Base Pack (RT351005) and Extension Pack 2 (RT351010). 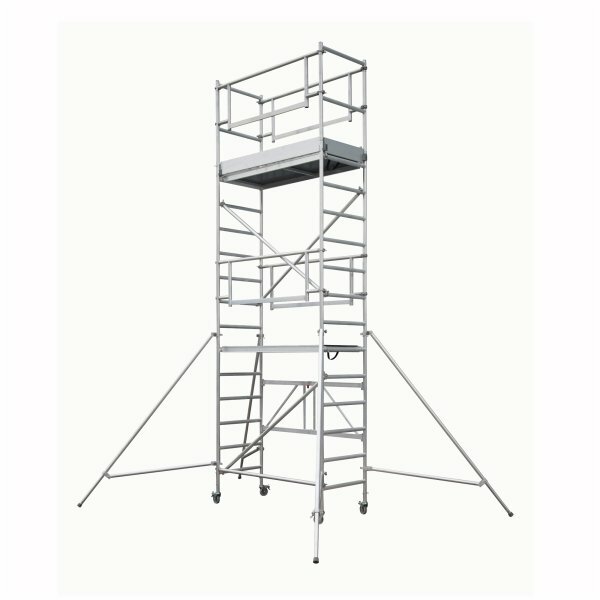 Safe Working Height based on a 2.0m (6 ft 7 in) height and reach of a person and whilst standing on the top platform of a combined tower which includes the Base Pack 1, Extension Pack 2, and Extension Pack 3.